The direction that a snail (Mollusca: Gastropoda) coils, whether dextral (right-handed) or sinistral (left-handed), originates in early development but is most easily observed in the shell form of the adult. Here, we review recent progress in understanding snail chirality from genetic, developmental and ecological perspectives. In the few species that have been characterized, chirality is determined by a single genetic locus with delayed inheritance, which means that the genotype is expressed in the mother's offspring. Although research lags behind the studies of asymmetry in the mouse and nematode, attempts to isolate the loci involved in snail chirality have begun, with the final aim of understanding how the axis of left–right asymmetry is established. In nature, most snail taxa (>90%) are dextral, but sinistrality is known from mutant individuals, populations within dextral species, entirely sinistral species, genera and even families. Ordinarily, it is expected that strong frequency-dependent selection should act against the establishment of new chiral types because the chiral minority have difficulty finding a suitable mating partner (their genitalia are on the ‘wrong’ side). Mixed populations should therefore not persist. 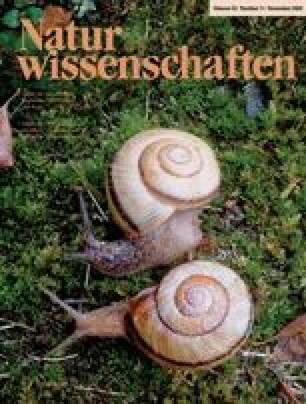 Intriguingly, however, a very few land snail species, notably the subgenus Amphidromus sensu stricto, not only appear to mate randomly between different chiral types, but also have a stable, within-population chiral dimorphism, which suggests the involvement of a balancing factor. At the other end of the spectrum, in many species, different chiral types are unable to mate and so could be reproductively isolated from one another. However, while empirical data, models and simulations have indicated that chiral reversal must sometimes occur, it is rarely likely to lead to so-called ‘single-gene’ speciation. Nevertheless, chiral reversal could still be a contributing factor to speciation (or to divergence after speciation) when reproductive character displacement is involved. Understanding the establishment of chirality, the preponderance of dextral species and the rare instances of stable dimorphism is an important target for future research. Since the genetics of chirality have been studied in only a few pulmonate species, we also urge that more taxa, especially those from the sea, should be investigated. We thank Tatiana Czeschlik for inviting us to write this review. Edmund Gitttenberger, Harry Lee and Dennis Uit de Weerd gave comments on a previous version of this paper. Cuillin Bantock, Satoshi Chiba, Bryan Clarke, Paul Craze, Bill Frank, Gary Freeman, Sinos Giokas, Jonathan Hendricks, Harry Lee, Wim Maassen, Somsak Panha, Sankurie Pye, Bronwen Scott, Miklós Szekeres and Jaap Vermeulen provided useful data, references, illustrations and ideas. The comments of John Hutchinson and two anonymous reviewers helped improve the paper further.